On my first trips to France, my guide was a little red, white and blue book, “French Leave” by Richard Binns. He offered all sorts of irreverent observations about short, off-the-beaten-path visits. His book became my bible for forays into Normandy and Brittany. He didn’t much rate Pas de Calais so neither did I. I was wrong. 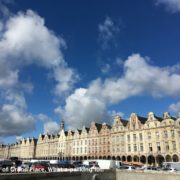 Pas de Calais, for too long overlooked and underrated, turns out to be a great place for le weekend. On my first trips to France, my guide was a little red, white and blue (now out of print) book called “French Leave” by Richard Binns. He offered all sorts of irreverent observations about short, off-the-beaten-path visits. 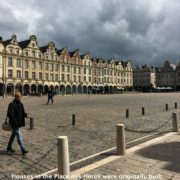 With my copy of Binns’ latest book tucked in my pocket, I traveled by ferry to the closest French ports then drove on to discover most of Normandy and a bit of Brittany. As I recall, Binns didn’t much rate Pas de Calais so neither did I. It was Flanders, a featureless landscape flattened by two world wars and centuries of conflicts before them; a place to race through along the way to Paris and beyond. With the arrival of Eurostar and cheap European flights, I never gave Pas de Calais nor, frankly, the ferry another thought. Then, at a travel industry gala, I bought a raffle ticket that changed my mind. 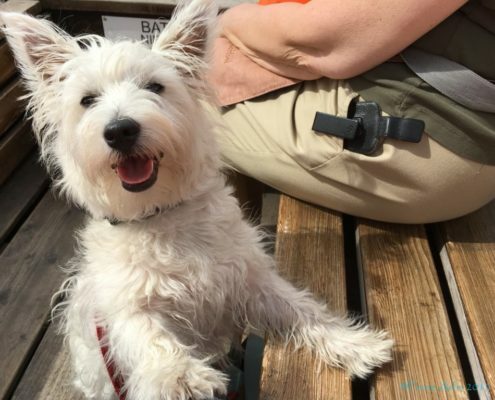 Lulu the Westie on her first trip to France. The raffle prize, provided by DFDS Ferries, Pas de Calais Tourisme and Najeti Hotels, was a ferry crossing, accommodations and meals for a few days exploring this region of Northeast France…and yes, I won. La Manche may be just another name for the same English Channel, but somehow the water looks bluer and more inviting on the French side. It must be the beaches. 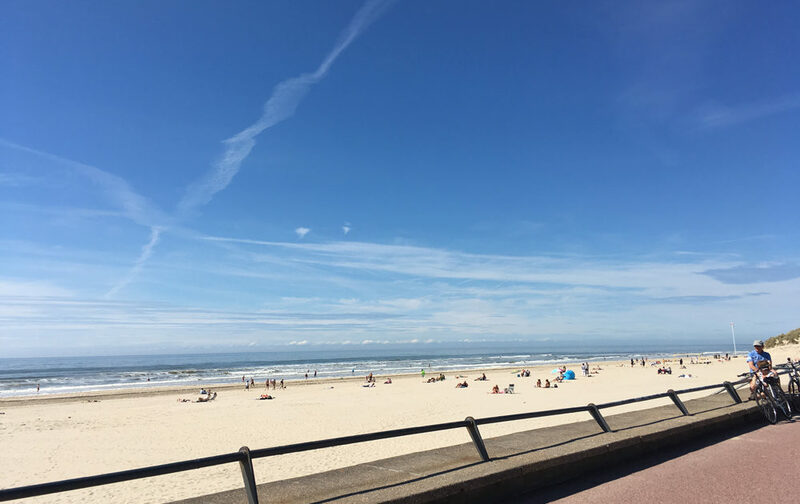 At both Le Touquet-Paris Plage, pictured above, and Wimereux, below, endless stretches of soft golden sands are irresistible. We had to kick off our sandals and wiggle our toes in it. Le Touquet, southwest of Boulogne was founded in the 1880s and was a turn of the century magnet for wealthy Brits, Belgians and Parisians. It had its Jazz Age heyday in the 1930s and it shows in the many Art Deco homes that mingle with the rest of the feast of fantasy architecture – Belle Epoque, Empire, Napoleanic. H.G. Wells once eloped here and it’s where French president, Emmanuel Macron has his voting address. You can ride a horse through coastal forests and along stretches of beach here, bet on the horses or gamble at a casino said to be Ian Fleming’s inspiration for Casino Royale. On a short break like ours, the pedestrianized crosshatch of streets around Rue St Jean, crammed with chic little shops, patisseries, chocolatiers, cafes and bars, is very satisfying and a good place to celebrity spot in season. Wimereux, northeast along the coast toward Calais, is smaller but a bit more crowded with its wall of apartments and hotels along a promenade facing the enormous sandy beach. Go inland a block or two and you are back in architectural fantasyland – mock Normandy-style half timbered cottages, bright pink Victorian gingerbread or shiny, multi-colored ceramic tiles. Stop for a drink on rue Carnot – also good for shops selling regional produce – and watch the passing scene. 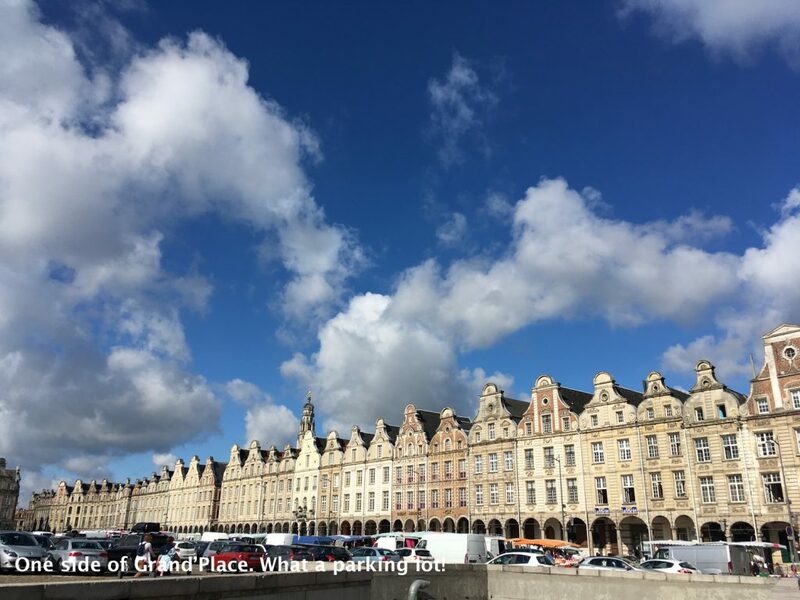 For the best variety of coastal towns, steep wooded hills and long Channel views, give the A16 Autoroute between Calais and Boulogne a miss and take the more scenic D940. In Le Touquet, even the greengrocers have style. It is surprising how much and how varied the forest environments of Pas de Calais are. This once heavily industrialized area is the least forested region of France. Only about 8% of the land is covered in woodland. Yet what there is, is wonderful. Pockets of dense pine and deciduous forests break across grass covered dunes surrounding the towns of the Opal Coast and stretch inland along steep river valleys. Château Cléry, our hotel in the village of Hesdin-l’Abbé on the edge of Boulogne, was surrounded by a woodland park, screaming with birds. 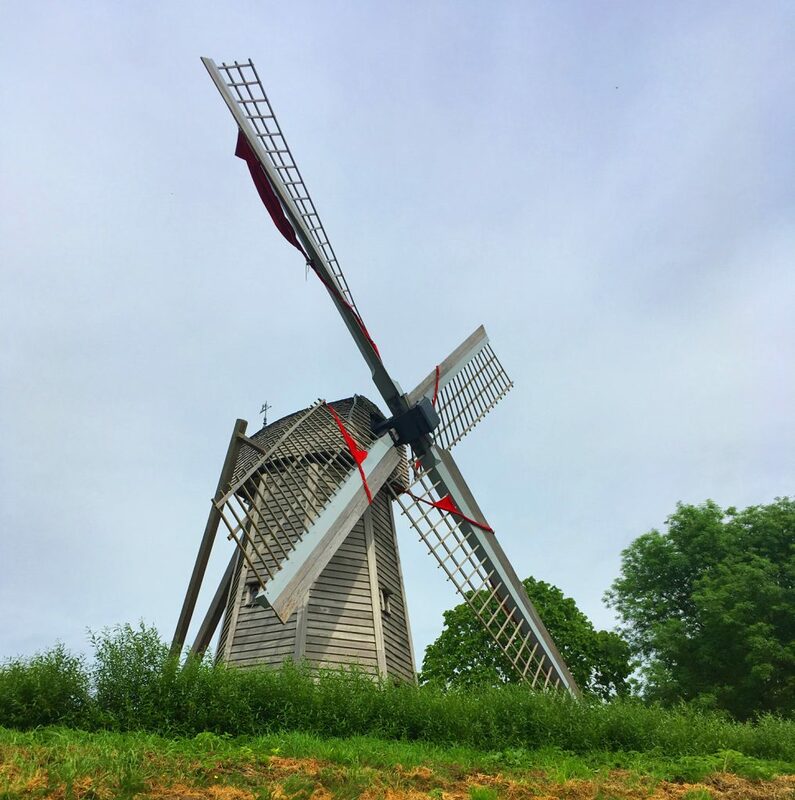 And a huge part of the region, where Flanders, the Opal Coast and the Artois hills come together is the UNESCO-listed Audomarois marshes, a biosphere reserve of wetlands, reclaimed land and canals. It was originally dug by monks about 1,200 years ago and has grown over the years so that today it covers more than 22,000 hectares. 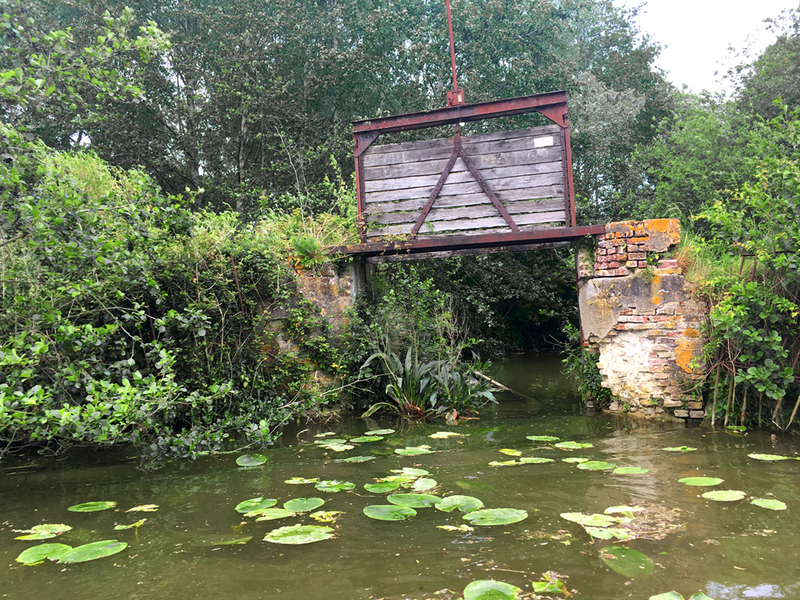 With its market gardens and floating gardens, it is the only cultivated wetland in France. It’s also the protected home of hundreds of species of birds and mammals. 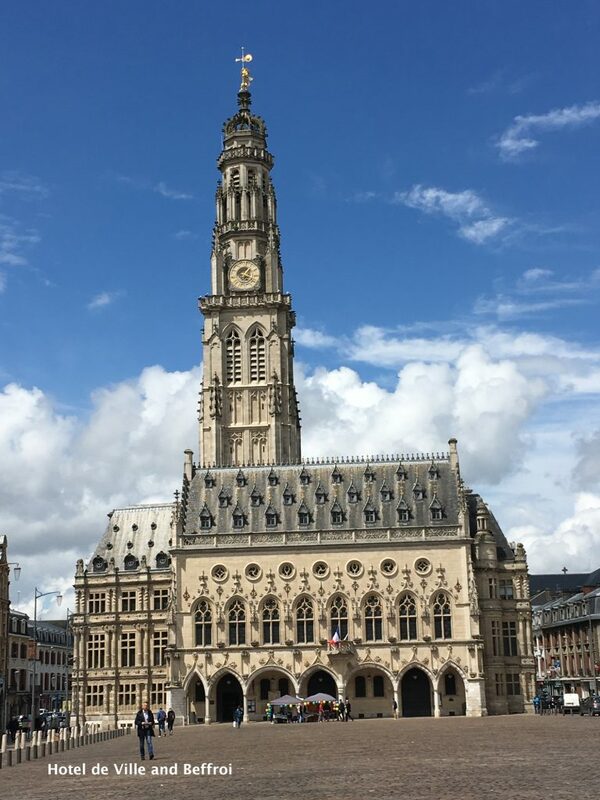 Amazingly, the town of Saint Omer sits right in the middle of its core marshland area. 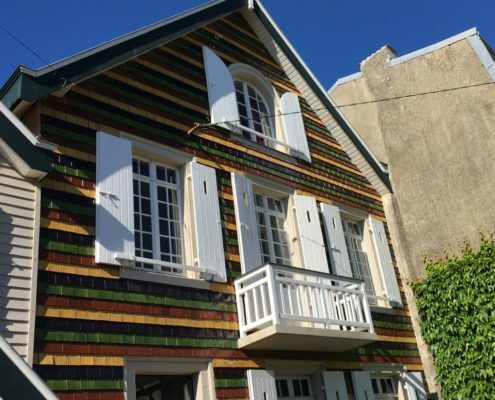 From Le Maison du Marais Saint-Omer, a newish interpretation center, you can board a traditional boat, a bacôve, and, for about 10€, spend an hour touring a few of the 700 km of canals. Traditional methods of water control keep the cultivated land from flooding in the Marais. The decline of heavy industry and mining hit Pas de Calais hard. But it is fighting back with art and culture. 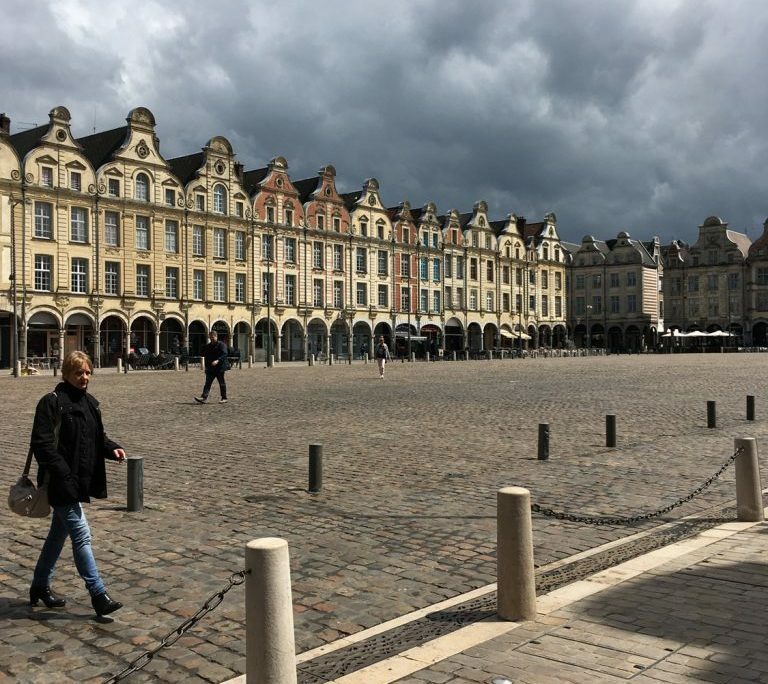 Ever since the selection of Lille as European Capital of Culture in 2004 revitalized that city, communities across the region have recognized the energetic boost a lively art scene can create. Part of that includes cooperative efforts with some of France’s greatest cultural institutions. In 2012, the Fine Arts Museum in Arras began 10 years of cultural sharing with Versailles. 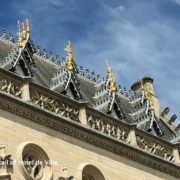 The arrangement required the museum, located in the former Benedictine Saint-Vaast Abbey, to strengthen its floors with steel to support the huge marble sculptures from Louis XIV’s palace. 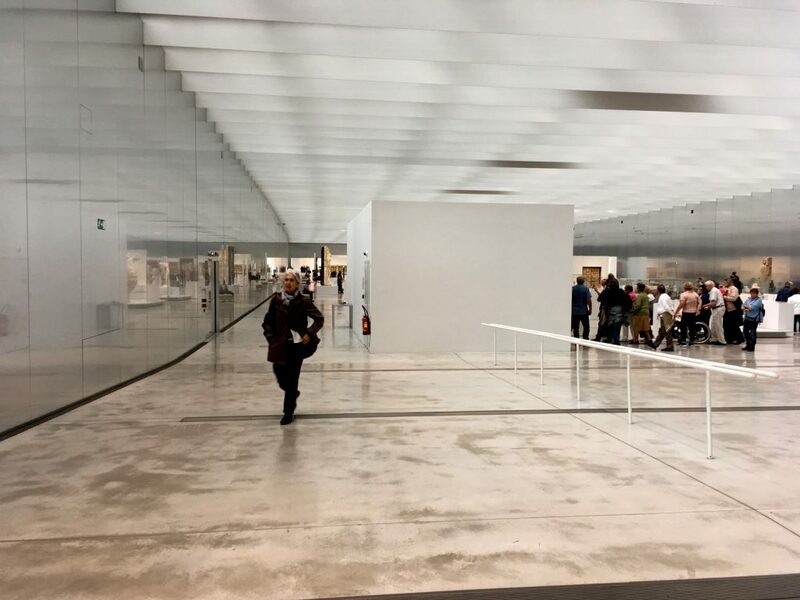 While in Lens, once a major mining center, the Louvre brought tons of glass and steel to the site of a former colliery to create its first provincial gallery, the Louvre Lens. And it’s wonderful. Cool, modern and spacious – the Grand Gallery is a single, 3000 square meter space – it houses a curated selection of Louvre treasures – a kind of Louvre-lite – that will change every five years. In its first year it attracted nearly a million visitors. We just loved getting within touching distance of Roman statues; Indian and Islamic art, carving and calligraphy; Renaissance, 16th, 17th, 18th and 19th century paintings, even an imposing statue of Napolean posing as a classical Caesar. I was especially taken with an amazing pietra dura table from 17th century Florence. The museum is open every day except Tuesday, from 10am to 6pm and the Grand Gallery is free. If you are racing down to Paris on the A26, take a quick side trip from the motorway to see it. There is no getting away from the fact that one European and British army after another marched across this northeastern corner of France, fighting for pieces of it. At the Centre Historique Médiéval d’Azincourt, you can pursue the story of the Battle of Agincourt and search for the battlefield (for enthusiasts only. Really). Or you can visit La Coupole, a huge dome-covered bunker from which the Germans intended to launch a massive barrage of V2 rockets on England in WWII. The Allies took it in 1944 before it was operational. Now the dome is a 3D planetarium. We were most moved after we donned WWI “Tommies” helmets and descended 20 meters underground into the La Carrière Wellington, or Wellington Quarry on the edge of Arras. The quarries were underground military tunnels and living spaces – including kitchens, space for 700 hospital beds, an operating theater and sleeping quarters – carved out of Arras’s historic chalk quarries by the New Zealand Engineers Tunneling Companies, many of them Maori miners. It was here that almost 24,000 British and Dominion troops lived in hiding for ten days before emerging on April 9, 1917, Easter Sunday, for a surprise attack on the German front. The site serves as a memorial to those who built the tunnels and those who lost their lives in the Battle of Arras, in the end a battle with little gain and hundreds of thousands of deaths. The name, by the way, comes from the street names of Wellington, New Zealand, that the tunnelers assigned to the different spaces and underground chambers. 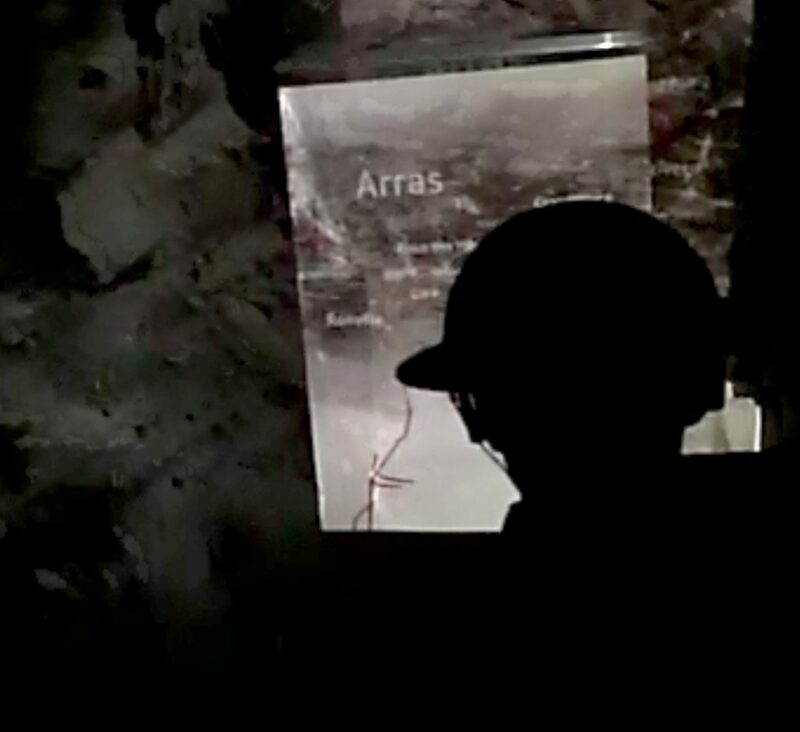 The Wellington Quarries, WWI Memorial in the Tunnels of Arras. 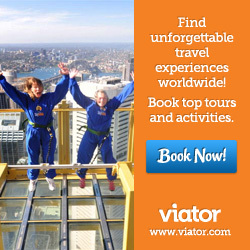 Visits are by guided tour, with audioguides – available in English. The site is open from 10am to 12:30pm and from 1:30 to 6pm. The tour takes about an hour and is wheelchair accessible. 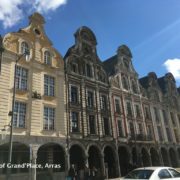 Arras has two massive Flemish-Baroque squares, la Place des Héros and la Grand’ Place, and a late Medieval Gothic Hôtel de Ville (town hall) with a belfry tower known as the le Beffroi. 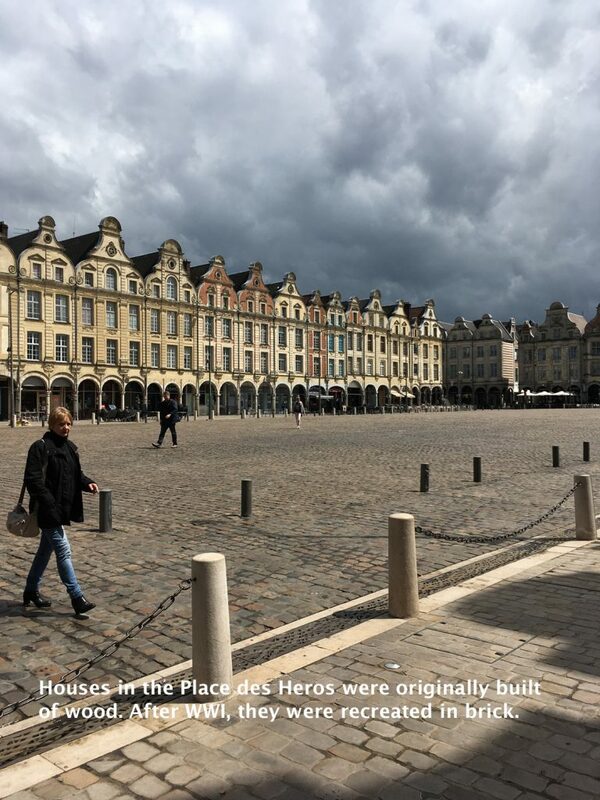 They are all listed UNESCO World Heritage sites and were extensively reconstructed after WWI. But you’d never know it and it’s worth traveling across Pas de Calais just to see them. Now I could bore you with lots more architectural and historic boilerplate that you can research as easily as I can. But, since this is my blog and these are my photographs, why don’t I just show you (click to enlarge gallery images). 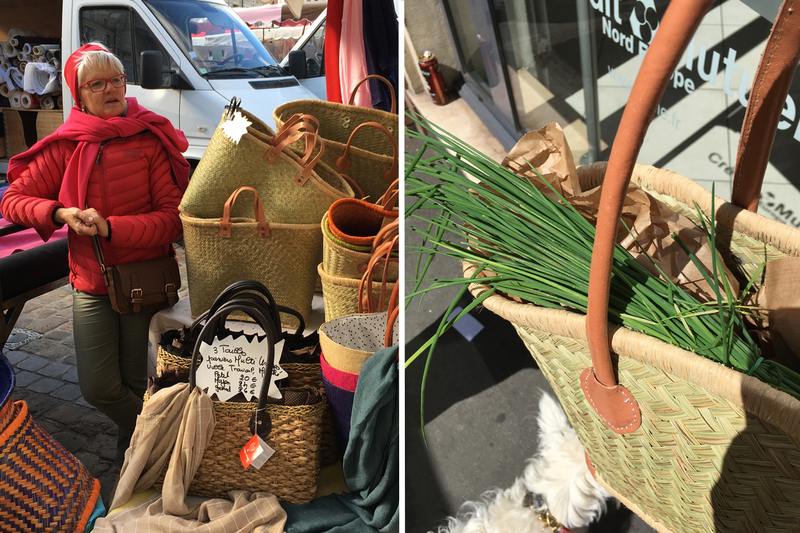 Wherever you are in France, there’s probably at least one market day a week with fresh produce, household goods, clothes, odds and sods on offer. This region has two particularly good ones. 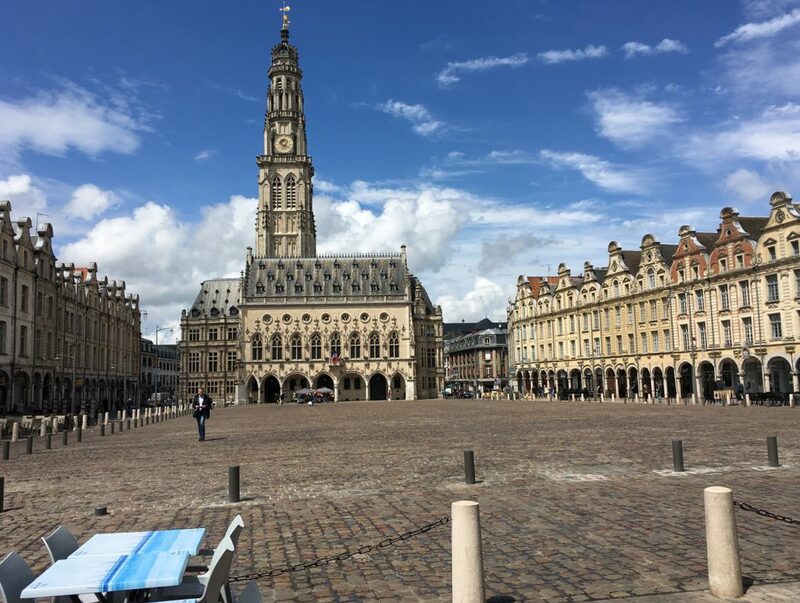 We missed the covered market in Le Touquet on this visit but were in Arras in time to catch the market that spreads beyond the two great squares and also fills Place de la Vaquerie behind the Hôtel de Ville and stretches along rue de Justice and around Eglise Saint Jean-Baptiste. You can buy almost anything. For me that meant some cheap socks, a rather chic French shopping basket, ripe peaches, dazzling red perfumed strawberries, dried serpolet – a Provencale herb, fat white asparagus and a big bunch of fresh cut chives. I could also have stocked up on plants, sewing notions, sweets, gadgets, meat, poultry, fish, cheeses, eggs and – had I been so inclined – horsemeat. Cheeses – It wouldn’t be France without a good selection of locally made cheeses, would it? The cheeses of Pas de Calais seem to share two characteristics – relatively mild taste and incredibly smelly rinds. Some to try include Maroilles, Coeur d’Arras – a heart shaped cheese with an orange rind, and Vieux Boulogne, according to the Independent, the world’s smelliest cheese – yet remarkably mild. Beer – With its proximity to Belgium and its Flemish heritage, it’s no surprise that beer is probably more popular here than wine. There are at least 30 artisan breweries within the region. Chips – If you have a hankering for chips, french fries and other batter-dipped fried foods, this is the place for you. Again, the Belgian influence is at work here. Whether they are food vans or small cafés, frîteries are everywhere. 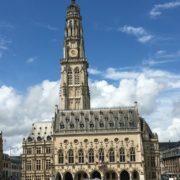 Les Friteries, a French web portal that lists frîteries all over the country lists 835 places in Pas de Calais. The nearest competitor is neighboring Picardie, with only 33. 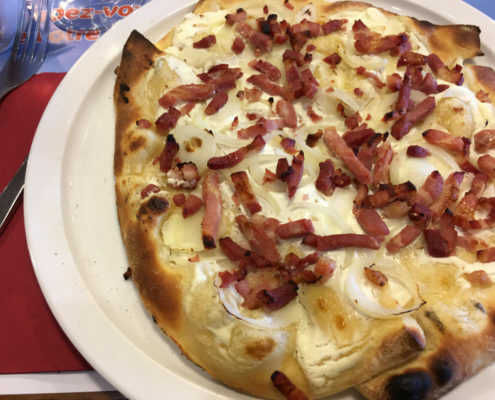 Flammekueche – Technically this is an Alsatian or southern German specialty, but it is widely available in the casual brasseries of Northeastern France and makes a tasty, quick meal with a local beer. A bit like a pizza, with a much thinner, crisper crust, this is a flame-cooked tarte covered with crême fraîche, thinly sliced onions and lardons. We sailed on a recently refitted and immaculate DFDS ferry from Dover to Calais, the so-called short crossing. It has been a while since I did that and I can highly recommend it. The vessel was comfortable, the coffee and munchies pleasant and the smooth crossing only took 90 minutes to the heart of the action. And it was fun to wave goodbye to the white(ish) cliffs of Dover. There are 15 crossings each way on weekdays. Prices start at £28 each way for a car and up to 9 passengers (summer 2018 for crossings between 10pm and 6am). Obviously prices vary by season and time of day but the fare, for families or groups of friends is very competitive. Najeti operates several luxury hotels with nearby golf privileges. We stayed in several and particularly enjoyed the Najeti Hôtel Château Cléry. The 18th century country estate is set in a woodland park in Hesdin-l’Abbé, on the edge of Boulogne-sur-Mer. Rooms and suites spread across the chateau as well as several cottages and “fermettes”, or little farmhouses. Prices are relatively reasonable with the “demi-pension” option – or dinner, bed and breakfast – in a luxury room going for about 225€. 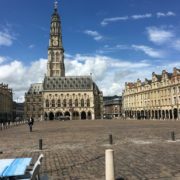 Do you have any recommendations for things to do, places to stay, things to eat in Pas de Calais? We’d love to hear them so do share your ideas by clicking on the comments link below. A calming, beautiful countryside that has effected a transformational change on its own history. When one is in Pas de Calais, one is in Flanders fields — and poppies do grow. 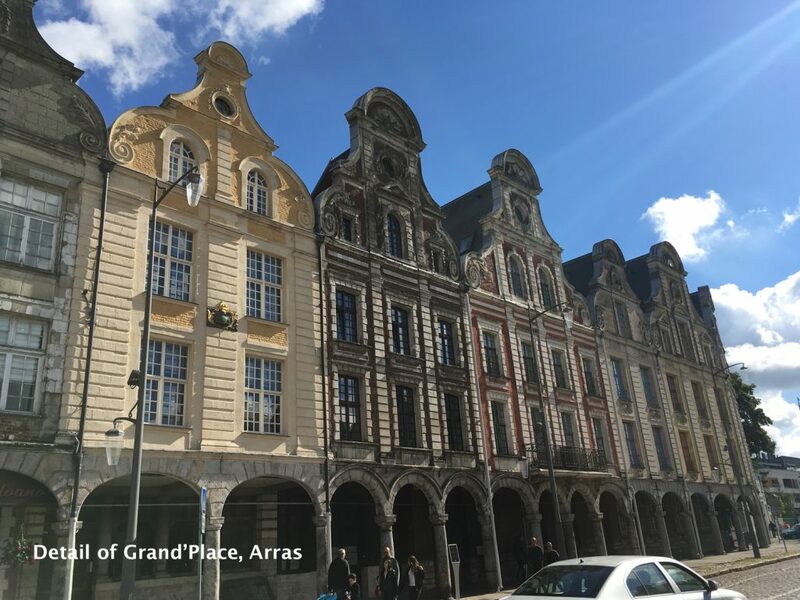 The Maison de Marais in St. Omer and Wellington Quarry in Arras are not to be missed. Thanks Barry. Yes, the Louvre Lens is a good reason for a trip. It is lovely and there is a Michelin-starred restaurant on the grounds. Sadly we didn’t have time to sample it but we’d love to hear from anyone who has. It looks a great short break destination for people based in the south-East of England. 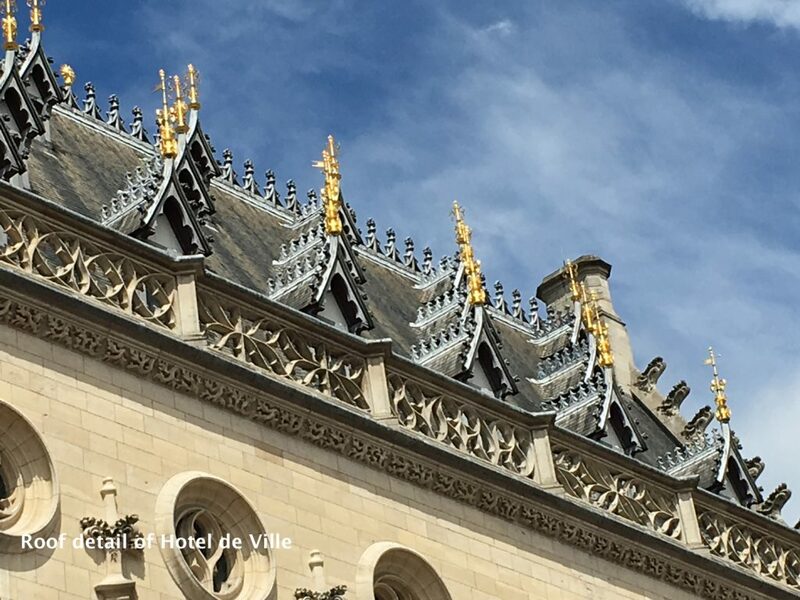 The Louvre museum looks reason in itself to visit Lens. I enjoyed a wonderful trip to Pas de Calais a few years ago. Doesn’t Emmanuel Macron, the French President, live in Le Touquet? Maybe that will be a factor encouraging visits over the summer. Good on yer for recognising what a wonderful region it is. 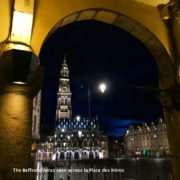 I wrote, out of sheer exasperation, the only guide to the region generally back in 2010 – the Bradt Guide to Nord-Pas de Calais. Remind me to let you have a copy at the next guild meeting. Thanks, John, I’d love to see it. What a fantastic post. I’ve passed by Calais so many times but never thought to stop. Your piece has more than convinced me that I was wrong. I especially loved learning that there are rich forested areas around, and your photos the markets and architectural details are lovely as usual. Thank you. So glad you enjoyed the piece. It’s really a part of France you should visit. And take the ferry. Its fun and the new DFDS Ferries are really comfy. Bachelors and Spendthrifts – The History of Attingham Park Thank Goodness for Days Inn. Really? Yes Really!